[Episcopal News Service] The 12 apostles, the 40 days of fasting, the five loaves and two fish. Some key numbers are peppered throughout the Gospels, but no one would mistake attending church on Sunday for a math lesson. And yet, for every Episcopal congregation, there is a count. Actually, several counts, including total number of active members, average pledge and the endlessly fluctuating “average Sunday attendance.” That data gets wrapped into the annual parochial reports that each congregation files with the Episcopal Church, and the cumulative data is released once a year as one benchmark for church vitality. For several years that benchmark has pointed to a denomination in decline, with church attendance and membership trending downward in all corners of the Episcopal Church. 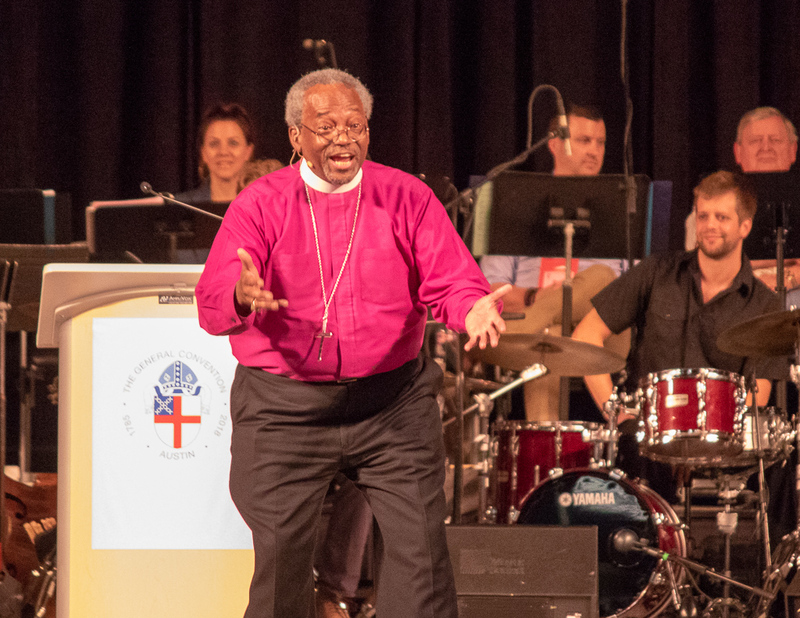 When the latest churchwide data summary was released in August, the response was a familiar mix of hand-wringing, naysaying and soul-searching about the future of the Episcopal Church. “Facing more Episcopal Church decline” was The Living Church’s blunt headline on an analysis of the latest numbers by the Rev. David Goodhew, director of ministerial practice at Durham University’s Cranmer Hall in Durham, England. How bad? Over five years, the number of active baptized members in the church’s domestic dioceses has dropped 10 percent to 1.7 million. Sunday attendance is down 13 percent. There are 175 fewer parishes and missions reporting parochial data than in 2013. The 10-year trend is even more sobering, particularly in dioceses hit by sharp membership drops due to splits over doctrinal disagreements, including Forth Worth, Pittsburgh, San Joaquin and South Carolina. The one bright spot churchwide is that the average pledge has been increasing each year. Such data generates a fair amount of discussion within the church each year. On Aug. 30, Kevin Miller, an Episcopalian from Massachusetts, raised the issue in the Episcopal Evangelists group on Facebook. “What can we do to buck this trend? Lord help us!” Miller said while sharing The Living Church’s story. Responses ranged from the hopeful to the practical. Stop promoting “gimmicks” like Ashes to Go, some said. Others suggested looking beyond the walls of the church for evangelism opportunities rather than obsessing about filling the pews. The Rev. Chris Arnold, rector at Trinity Episcopal Church in Oshkosh, Wisconsin, issued a back-to-basics call. “The church will shrink until it rediscovers its primary purpose, which is to be a community of pilgrim disciples, supporting one another in the art and craft of prayer,” he said. The Episcopal Church, of course, is not the only mainline Protestant denomination suffering from decline. Only 36 percent of Americans identified as Protestant in an ABC News/Washington Post poll released in May, down from 50 percent in 2003. Overall, Christians declined from 83 percent to 72 percent of Americans over the same period, while those who claim no religion have doubled. Nor is decline in worship attendance an exclusively Episcopal concern. Weekly attendance at religious services of all faiths dropped from 39 percent in 2007 to 36 percent in 2014, according to the Pew Research Center’s Religious Landscape Study. In a separate Pew survey released in August, 37 percent of Americans who don’t attend religious services frequently said the reason was they practice their faith in other ways. An additional 23 percent said they simply haven’t found a place of worship that they like. Seen in this broader context, the Episcopal Church is not alone in facing the “challenge of understanding broad social changes” that are affecting American Christian churches, said the Rev. Michael Barlowe, executive officer of General Convention, whose staff collects the parochial report data. 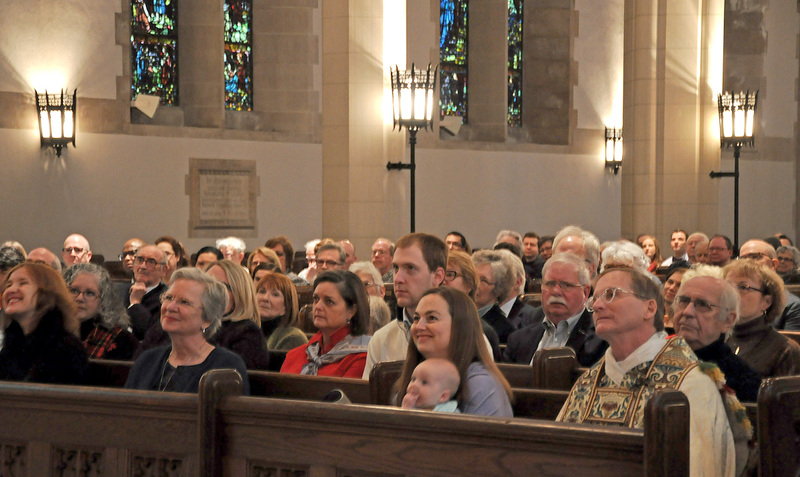 Declining membership and attendance numbers represent one snapshot of the Episcopal Church, and much can be learned from that data, Barlowe said in an interview with Episcopal News Service. Barlowe also doesn’t think those numbers tell the full story of the church’s good work. The Episcopal Church, like other denominations, still emphasizes measurements and funding models established hundreds of years ago, when the Christian church was a more central institution in American society, he said. Today’s church is engaged in ministries that expand its spiritual footprint in ways the parochial reports may miss, such as food pantries or Bible studies in coffee shops. “We need to grow in every way,” he said. An important way to grow is by starting new congregations, argues the Rev. Michael Michie, the Episcopal Church’s staff officer for church planting infrastructure. The Episcopal Church has approved more than $8 million to start new congregations and regional ministries from 2013 through 2021. Michie works closely with recipients of those grants to ensure they get the backing they need. Even the 86 new ministries planted from 2012 to 2017 likely wasn’t aggressive enough, Michie said in a blog post about the parochial report data. New churches also should be planted in the right places, reaching congregations where they live, and with entrepreneurial leaders, Michie wrote. He also threw out a target of more than 900 new church plants, based on a statistical analysis of what might be required to reverse the Episcopal Church’s decline. 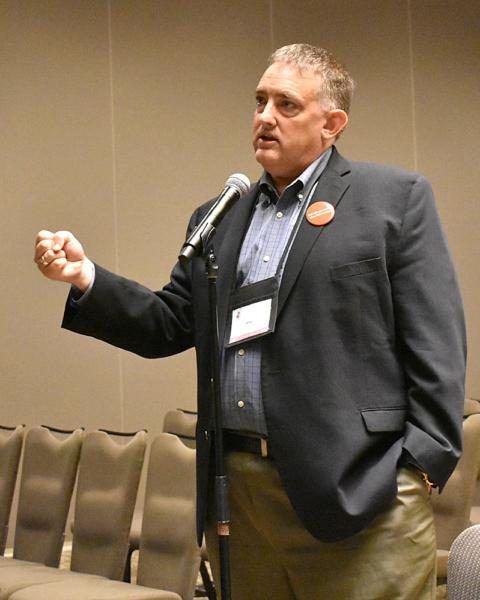 Michie, in an interview with Episcopal News Service, said he cited that figure “just to communicate the hill that is ahead of us to climb,” but he also thinks an aggressive approach to church planting would redefine how the Episcopal Church operates. Presiding Bishop Michael Curry, during his first three years leading the Episcopal Church, has been active in pushing for initiatives that will expand the church’s reach in new ways. He often talks of the church being part of the larger Jesus Movement and recently unveiled the Way of Love, a rule of life to help Episcopalians live into the calling of that movement. Curry also has led a series of large revivals that serve as the cornerstone of his emphasis on evangelism, seeking to reach new people outside the church with Jesus’ message of love. Racial reconciliation is another top priority of the church under Curry, as detailed in the Becoming Beloved Community framework that was launched last year. Despite such activity at the churchwide level and the dozens of new church plants, many existing congregations still may not be meeting the spiritual needs of all their parishioners, particularly newer ones. “We are an old denomination, age-wise, so I think I have a feeling that would be part of what is behind the decline,” the Rev. Jay Sidebotham told Episcopal News Service. Sidebotham, who serves part time as associate rector at St. James’ Parish in Wilmington, North Carolina, has studied the dynamics at play in congregation vitality through his work leading RenewalWorks, a ministry of Forward Movement. RenewalWorks released a study in January that found more than half of Episcopal congregations can be classified as “restless,” meaning parishioners are hungry for spiritual growth but may not receive the support they are looking for from clergy or church leaders. They remain active, for now, but “don’t actually expect that much to happen in their own spiritual experience,” Sidebotham said. The heart of the congregation’s leader.